It is windscreen cleaning time again and i hate those flimsy covers with tape, so i had to make better ones. I've been 3D-ing for several years now and love it. Haven't used it to make anything for our cars (yet) but I have used it to adapt my iPhone to fit the Spark Drone controller since I prefer to keep my Otterbox protective cover on my phone and this precludes the drone transmitter from accommodating the phone....and it works like a charm. ELCID86 and LightninST like this. I made those with fusion 360, Slic3er PE using variable layers and i have also Prusa mk3 printer. Electricity is blue, and hurts like ****! Thanks Dan, that was it! I'm still trying to learn everything about this car. But i did add the .stl model to first post, so i hope you can get those print locally. a few times to print parts for my 2015 OB. You just need the stl files, which have kindly been provided by the OP. The Hub lets you find a local person who can print your parts; let’s you upload the file(s); check the file by visualizing it; quotes the price and takes the payment. For one of my orders I was able to drive 10 minutes and pick up the parts, saving shipping costs. Fusion 360 is supposed to be a very robust 3D appl. I use Vellum Xenon which was always written to work on the Apple OS.......also have seen the Prusa printer and it looks great. I like the Makerbot 2X because it uses ABS which is critical to my needs.....sadly, no longer available from the company, everything they produce now uses PLA and some flex. materials......but then, my Makerbot is paid for by a client so it was, in effect, FREE! Great job doing the modeling in his 3D appl. ammcinnis and LightninST like this. Cool! Key question: How well do they fit the USDM Legacy/Outback? Edit: The pair I printed in PLA, free, at our local library are a secure snap fit in both our (USDM) 2015 Legacy and 2016 Outback. Wow! 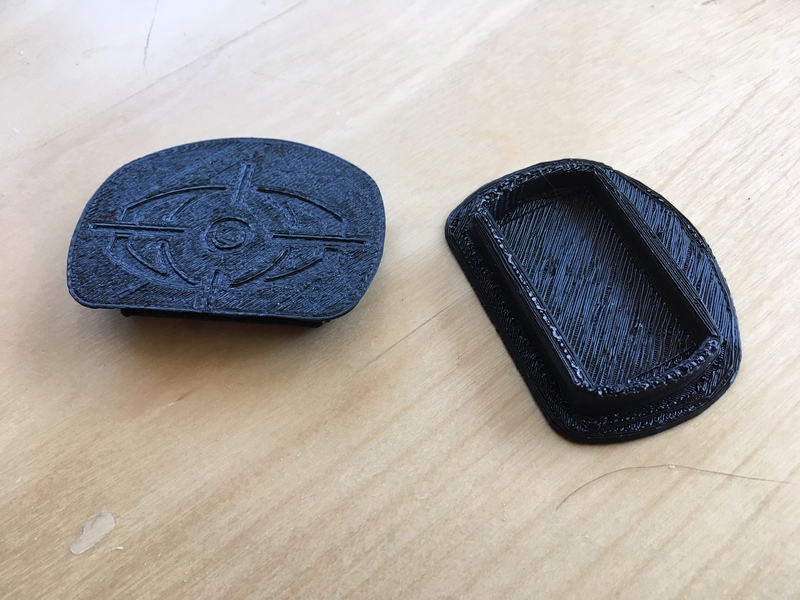 They quoted $8.72 to print a pair of these covers in PLA, $9.85 in PETG, or $12.84 in ABS. I use the Invisible Glass 99031 kit , spray the pad not the glass . Invisible Glass has been my favorite glass cleaner . Wow! They quoted $8.72 to print a pair of these covers in PLA, or $12.84 in ABS. As soon as I have tested them, I'll be back with a report. My 2015 OB foolishly was NOT optioned with ES due to my own stupidity........I recall that the earlier ES units fit right up against the windshield, perhaps I'm incorrect?